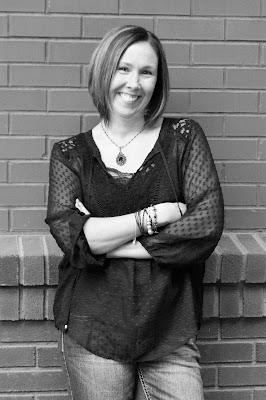 This morning, I have an interview with fantasy author Erin A. Jensen to share with you. Find out all about her writing process and the inspiration behind her books! I live in the US in upstate New York with my husband, two teenage sons and a Yorkshire terrier who thinks he's second in the family chain of command. In addition to being a writer and a mother, I'm also a pharmacist. I love to read, can barely function without coffee, and have always dreamed of living by the water. I first became interested in writing when I was in college. As a pharmacy major, my coursework was mostly math and science. Since that didn't really satisfy my creative artistic side, I picked up a literature or art history class whenever I could fit one into my schedule, and I started writing poetry. Being the introvert that I am, I only shared my writing with a handful of people back then, but the response was always positive. Fantasy has always been my favourite genre to read. I love to lose myself in alternate worlds where mythical creatures exist and magic is real and every impossible thing is possible. And I naturally write what I'd love to read. Tell me about Dream Waters. Dream Waters is the first book in a series and it's mainly set within a psychiatric facility. Charlie has spent most of his life in mental institutions because he sees the people around him morph into creatures that no one else can see. Unlike the rest of the world, Charlie remembers the Waters that come each night to transport everyone to the Dream World, where they take an another form and live another life. Charlie can see people "flip" to their Dream forms in this world and he has the ability to jump in the Waters and travel to the Dream World. The story begins when a beautiful new patient is admitted to the facility. Emma is clearly out of her element and terrified to be there. Charlie offers his friendship and protection, and the two patients quickly become inseparable. Charlie soon discovers that Emma's Dream form is shadowed by a monstrous dragon. Each night while Emma dreams of the man who's been banned from visiting her, Charlie searches for the beast in the Dream World hoping to figure out how it's connected to Emma. But when Emma's buried memories begin to surface, Charlie finds more monsters than he bargained for. The inspiration for this series came from my interactions with mentally ill individuals during my clinical rotations in pharmacy school. No matter how coherent or rational the patients were, if you looked into their eyes you could see that soul struggling to connect with the world around them. The idea for the story stemmed from my need to understand why some individuals are burdened with such debilitating mental illnesses. I guess it's my fictitious answer to the question "where does that soul exist when the mind holds it captive?" I think through most of the scenes in my books long before I write them down. I picture it playing out like a movie and envision actual actors playing the parts of my characters. Sometimes before I sit down to write, I'll watch brief YouTube clips of the actors so their voices and mannerisms are clear in my head. I'll also listen to music that sets the tone of the chapter, both before and during writing. Stephen King was a huge inspiration. I read an interview he did a long time ago where he mentioned that his scenes played out like movies in his head and he could easily entertain himself with his mental pictures. That wasn't his exact wording, I read it ages ago, but the idea stuck with me. I could always entertain myself with elaborate daydreams that played out like movies. So I guess the concept that I could entertain others with my daydreams came from him. I'm also inspired (like every other author out there) by J.K. Rowling. I was just reading an article about how she was told that she'd never make any money on her "overly long novel about a boy wizard in glasses." She didn't listen to those who told her she couldn't. She just kept believing in herself and chasing her dream, and look where it took her. She's the ultimate inspiration, not just because of the wealth she earned but because she didn't let anyone else's negativity discourage her from following her dreams. Write every day. Read every day, and not just in your genre. The more you read, the better you'll write. And never let anyone else convince you to give up on your dream. You only get one life. Live it for all its worth! Oh gosh, do I have to pick just one? I fell in love with Wuthering Heights when I read it for a Humanities course in college. I skipped the class once because I hadn't read the chapter we'd be discussing (I'd been studying for a chemistry test for that darn major of mine) and I didn't want the class to spoil anything for me! If I'm allowed to pick a second, the Fever Series by Karen Marie Moning is my favourite urban fantasy series. I can't select just one book because I adore the whole series. Well, my ideal spot would be in my dream house with a window overlooking the water. Until then, it's a desk in my bedroom where I listen to music and transport myself to the Dream World. Right now, it's to get my books into the hands of readers who will enjoy them. It's a thrill each time I see that my book has found its way to a reader in a new country. Down the road, I would love to make writing my full time job some day. If I could do that and earn enough to afford a waterfront home, I'd be in heaven! My biggest interest is my family. A day spent with them, sharing a big meal and playing board games or going on a hike (preferably somewhere with waterfalls) or on any sort of vacation is a perfect day. I also love art history and took as many art history classes as I could fit into my schedule in college. And I love going to the movies. I'll sometimes picture my story up on that big screen as the previews play. I'm currently writing Dream Sight (book 3 in the Dream Waters series). I just finished The Light Between Oceans, which I absolutely loved. And I've started Me Before You. Normally, I like to read a book before watching the movie but I saw Me Before You with a friend, loved the movie and then bought the book. 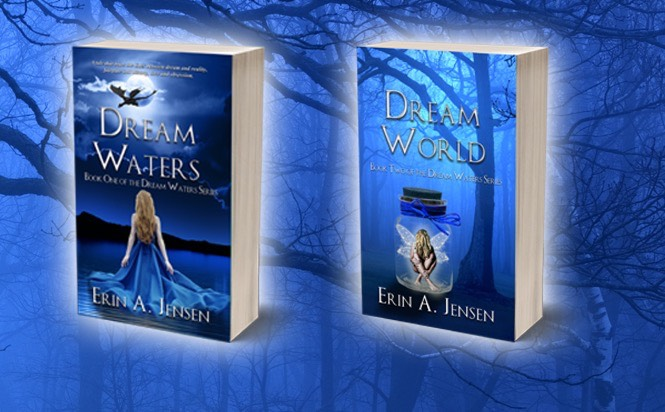 Dream Waters is available to buy now. 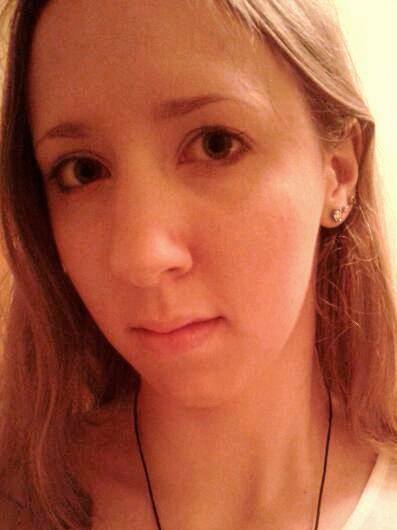 To find out more about Erin, visit her website or follow her on Twitter.